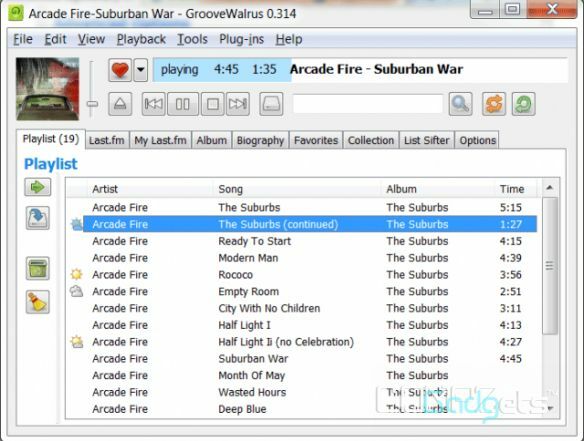 GrooveWalrus is a standalone music player with GrooveShark and Last.fm support. 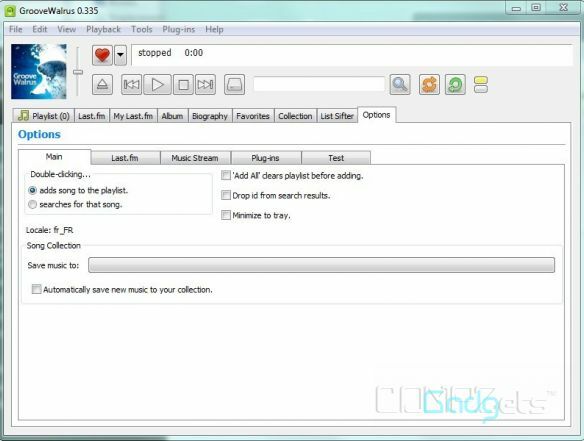 The application itself is fully extensible and is designed to use some interesting plug-ins such as Flash to play music from Dizzler and Grooveshark “Lyrics” to see the lyrics while playing and the plugin Web Remote to allow control remotely via the web. 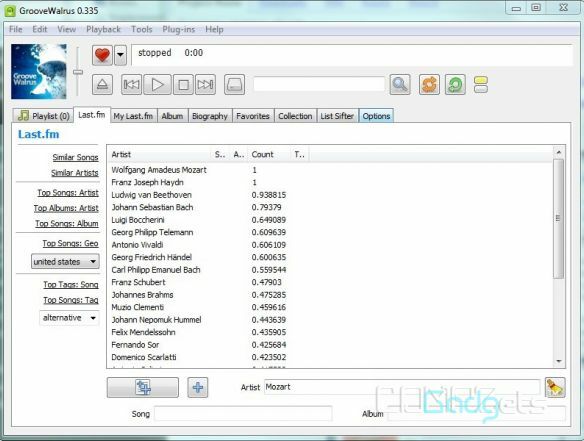 Also, you can add Local Music collection to the playlist and many more options to explore which you will discover upon installation.